Creatbot are the first to publish 350°C ultra-high temperature nozzles to mass market. These kinds of nozzle allows you to print with a variety of filaments. Furthermore the blue metal cooling sink effectively and efficiently cools down the heatbreak from these extreme temperatures. 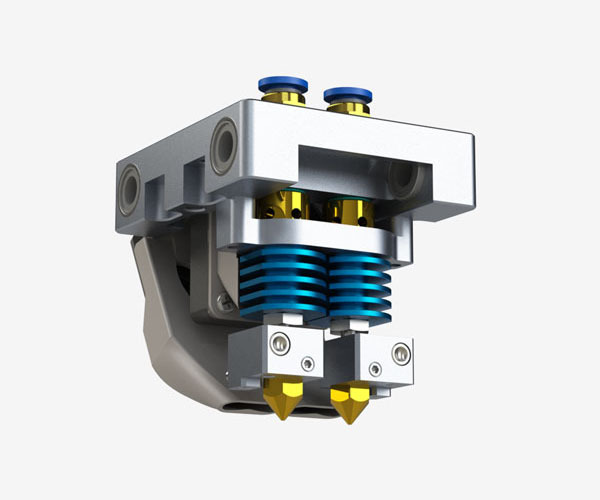 The nozzle height can also be micro adjusted. 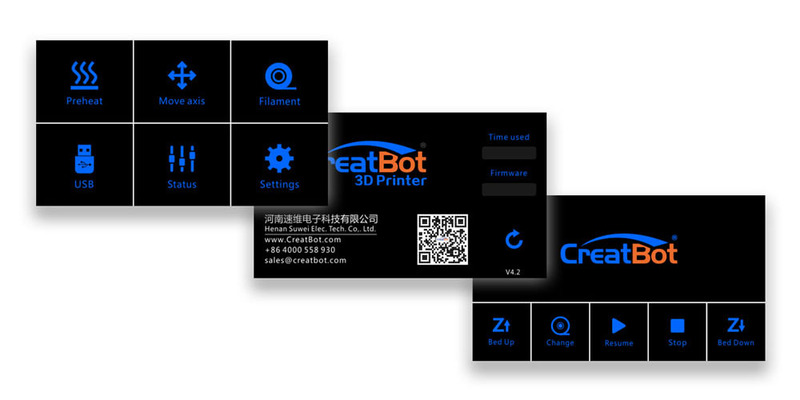 Creatbot ensures their extruder feeding system supports high-speed printing as well as accuracy and allows for a steady extrustion without the risk of blockages. 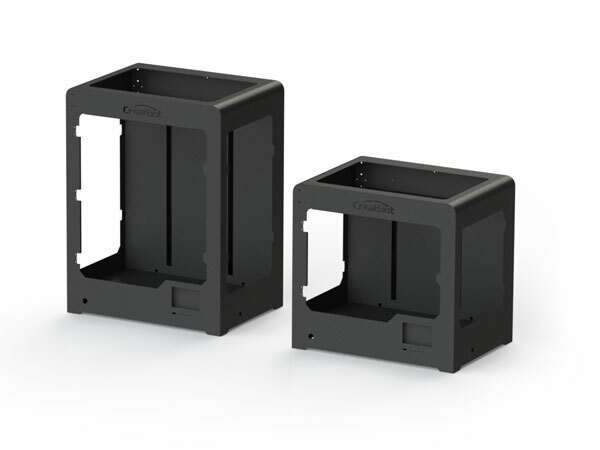 The whole-steel body not only ensures stability while printing but also greatly extends the usage period. The optimization and cooperation of overall structure ensures a sustainable and efficient print operation. 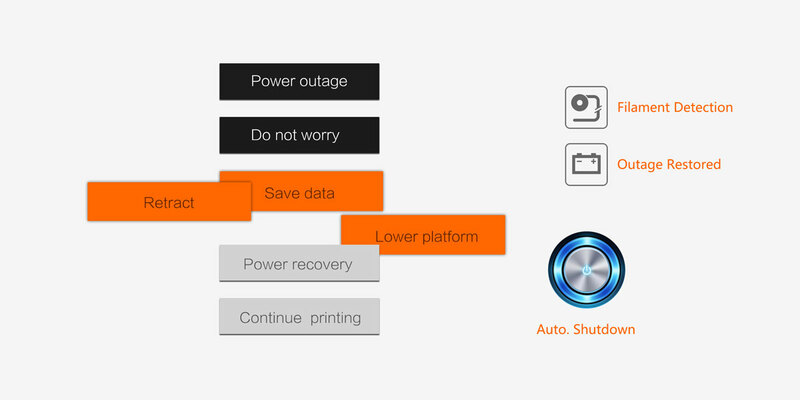 In the event of a power outage, the printer will automatically memorize its current position and save the print data, lower the working platform and withdraw the filament to ensure that such events cause as little hassle as possible. 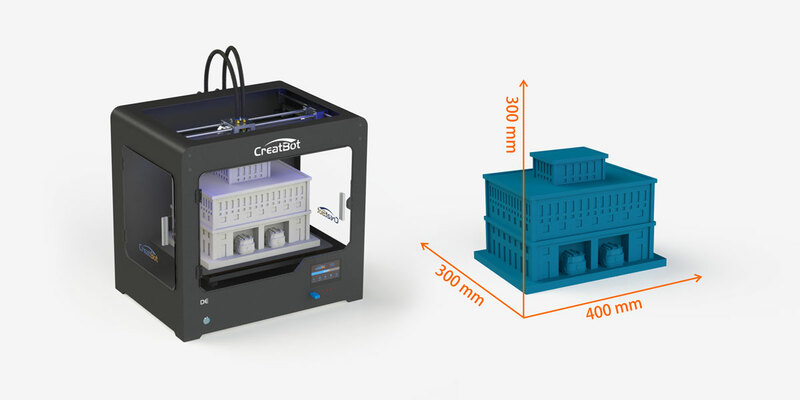 The printer has mico-crystal platform that supports hight thermal efficiency. When slicing you can set the parameters to turn off the hot bed automatically after a specified number of layers. The printer has a 4.3" touch screen which is extremely easy to operate.